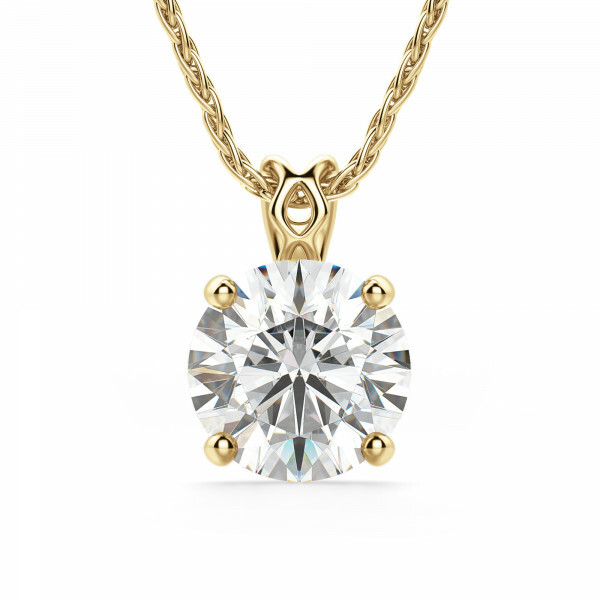 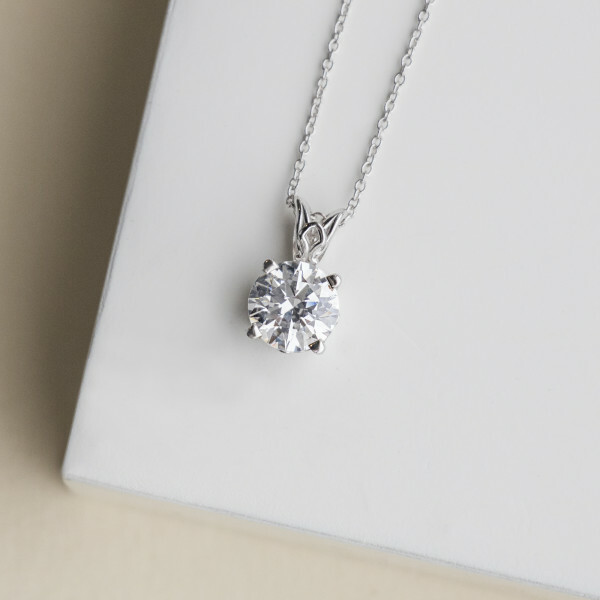 This is a romantic version of a classic solitaire pendant. 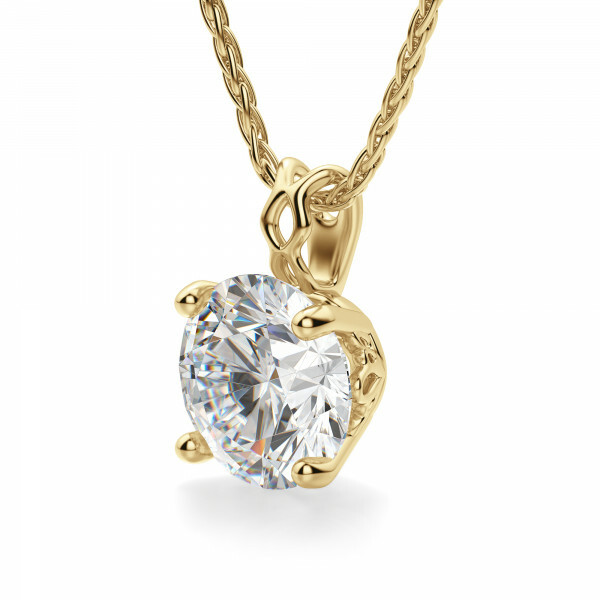 The Round cut Nexus Diamond alternative is set in delicate filigree metalwork that adds a feminine element to the simple design. 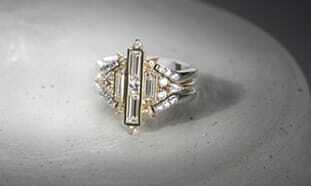 The split bail echoes this filigree design. 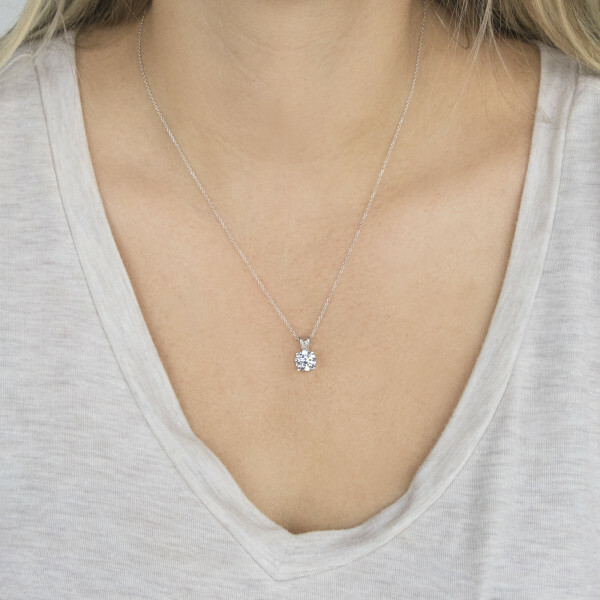 Simple enough to be worn daily, yet brilliant enough to complement any formal outfit, this pendant is perfectly versatile.